This product claims to 'double skin's hydration instantly' and I think that this product actually does what it says! 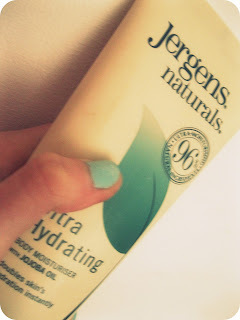 I have very very dry skin and I find that some moisturisers just don't work but this one does. It has a creamy texture, is very easy to apply and the skin absorbes it quickly - so you're not standing arround for hours on end waiting for it to dry! plus It doesn't really smell of anything which I think is a bonus as some mosituriser are really strongly perfumed. As I said before this prouct contains Jojoba oil which this product says it's 'known to keep skin soft supple and healthy looking.' Now, I don't know a lot about this oil...but...I think that it maybe the reason why this mosituriser is so good. After using this product for just over a week now I can honestly say that it has made a real difference my skin feels a lot softer and less dry, I will continue to use this product and will definatly re-purchase it, again and again I might try another one from there wide range and review that another time!